5-Day of easy, High-Protein Vegan Meal Prep ideas for Weight Loss. Tasty recipes on a budget, to prepare for the week on a lazy Sunday. This plan is healthy, cheap and full of flavors! 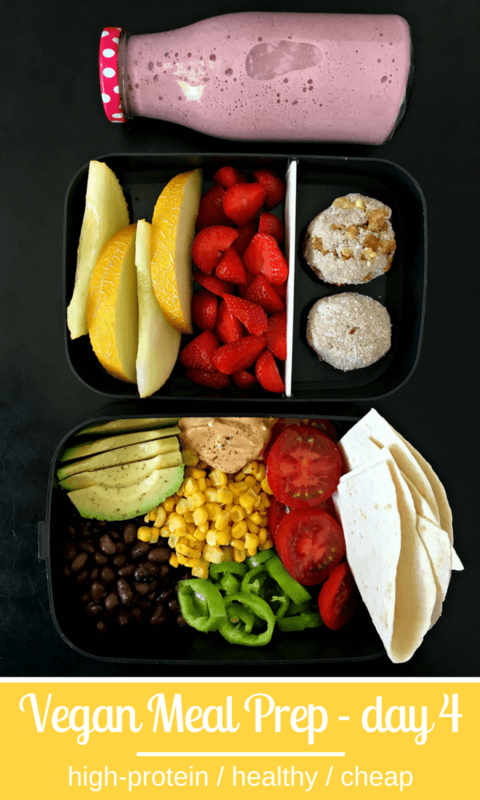 Learn to meal prep, like a pro! Meal prep can be a difficult and tedious task, especially if you would like to lose weight, can’t it? If you are as bored of sad salads, as me, keep reading. 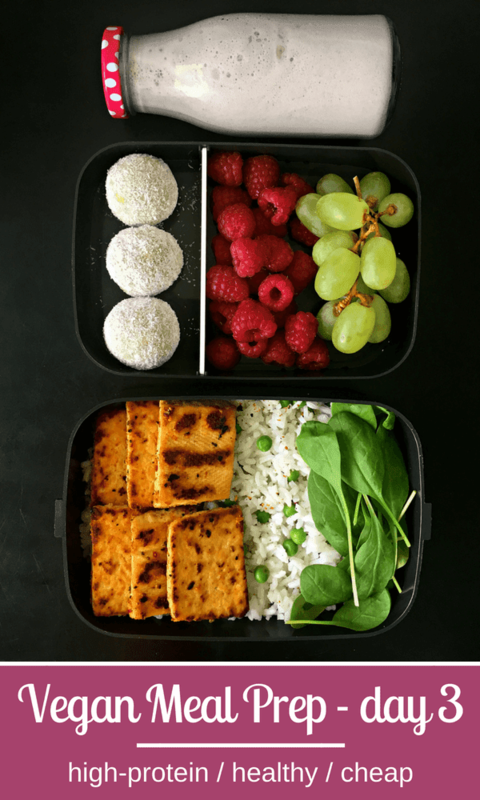 In this article you will find 5 super clean, high-protein meal combinations that are full of flavors. You don’t have to be a vegan chef to create these. I made sure that every meal combination is super easy to prepare and doesn’t skimp on taste. 1.) A smoothie with berries, oats/chia and lemon juice. 2.) 1 cup of fruit of your choice. 2.) Some snacks made from oat flour and nuts (you can add any unsweetened nut butter, too). 3.) Dark chocolate pieces, a handful of mixed nuts. 4.) 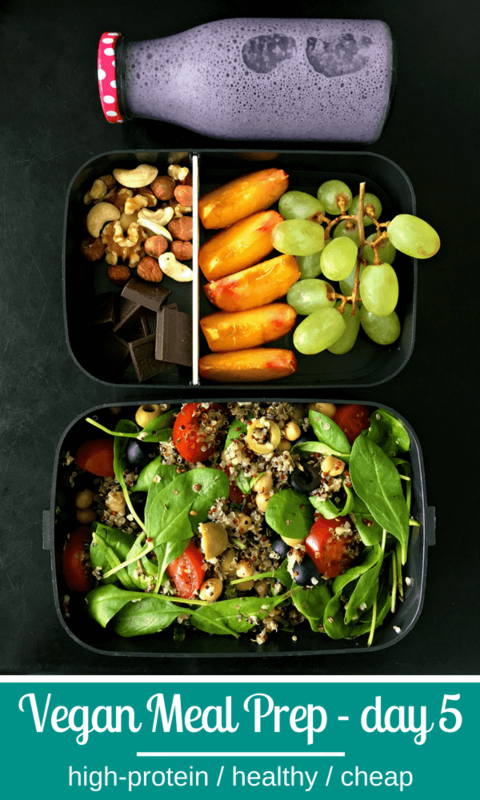 High-protein Grains (quinoa, brown rice, barley…etc.). 5.) Tofu, beans, vegetables, legumes, hummus. 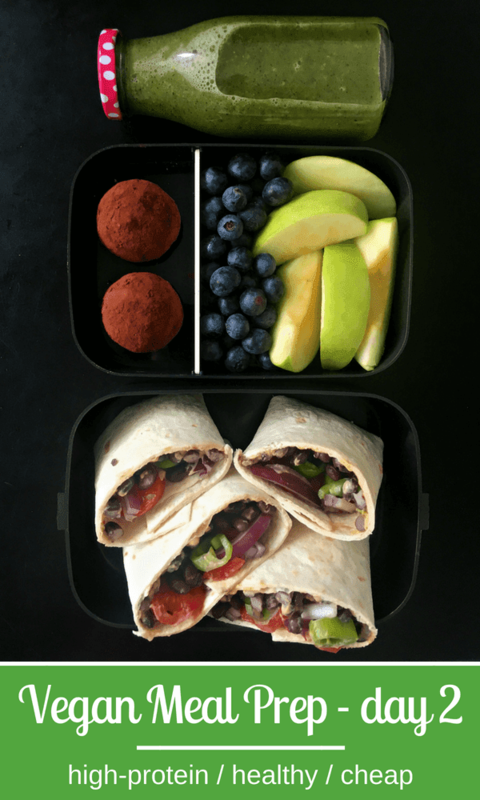 Make small, bite-sized balls and roll into cocoa powder. Put in the fridge for 2 hours. Place the ingredients on the tortilla wrap, fold gently and cut in half. For a higher protein variety, add 2 tsp of sesame seed + 1 tsp chia seeds. Make small, bite-sized balls, then roll in shredded coconut. Combine the oil, spice blend, liquid smoke and other ingredients of your choice in a bowl. Add the sliced tofu, put on the lid and shake until the tofu is covered with the oil and spices. This way the tofu will get “marinated”. Fry in a pan on both sides. Cook the brown rice with the green peas, then add the baby spinach. 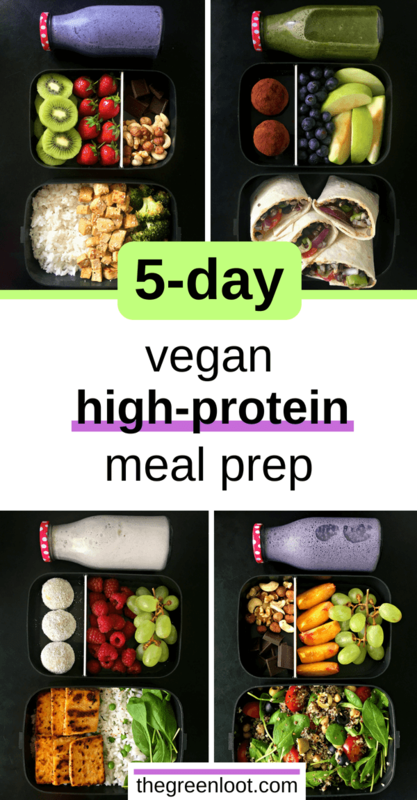 Did you make this high-protein vegan meal prep plan? Please make a picture and share it with me! 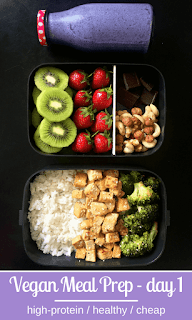 Also, if you have any other ideas that you would put in your bento box, share in the comments!